A vintage pedestal table, with two round shagreen tops, each raised on a metal base styled as chain link. The table remains in very good condition, with presence of age appropriate wear. 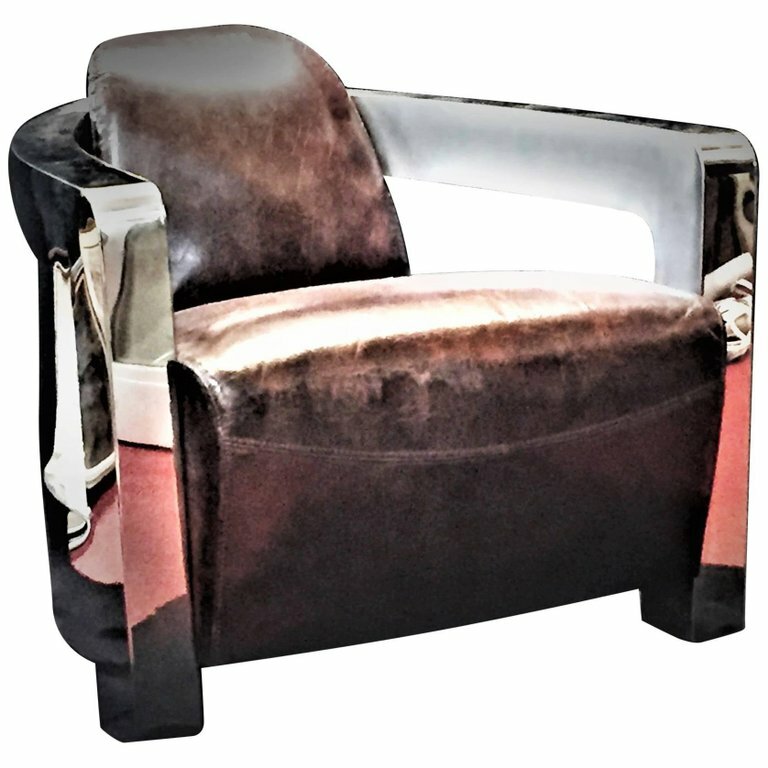 Krueck & Sexton design Modern interpretation of Art Deco club chair Stainless steel and leather circa 2000s.